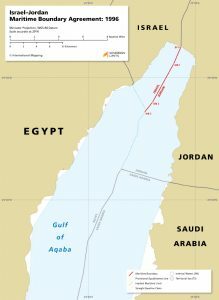 The maritime boundary between Israel and Jordan was established in an agreement in 1996, which entered into force a month after signature. 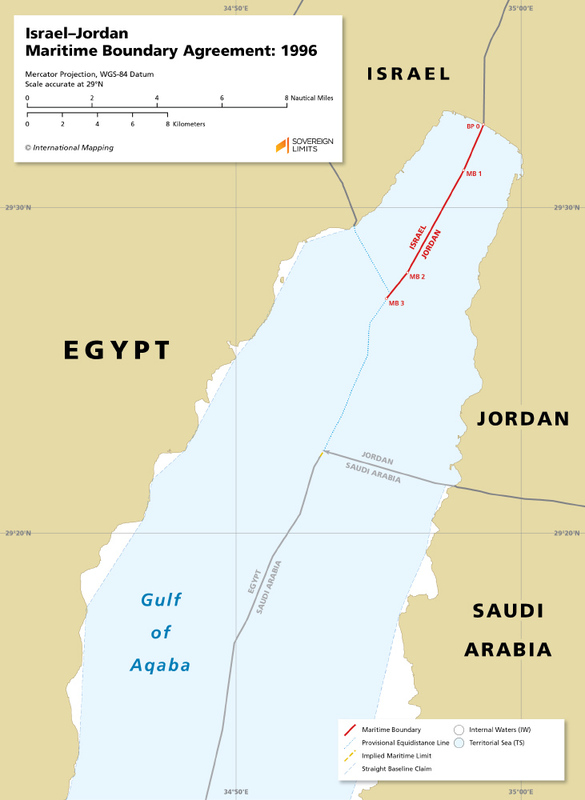 The boundary begins at the established land boundary terminus (LBT), Boundary Pillar 0, and follows an equidistance line on a southerly track through the northern part of the Gulf of Aqaba. A technical report was completed in 1998 detailing the coordinates of the maritime boundary turning points.